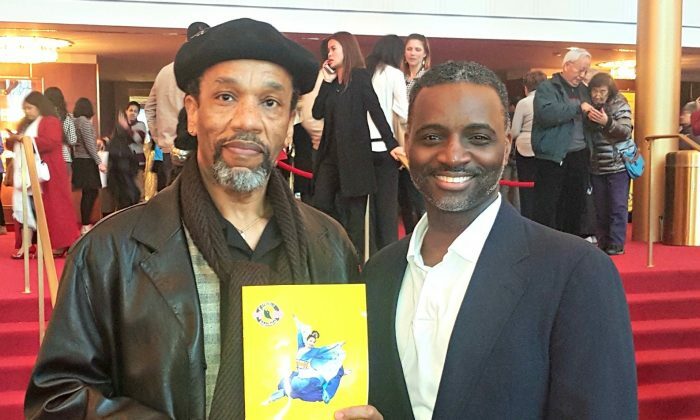 WASHINGTON—Lauded Washington, D.C. tenor Jackson Ceasar and former dancer Arnold Kingspury raved about Shen Yun’s stunning dancing acrobatics and the Chinese songs performed using the bel canto technique. They had much more things to say about the classical Chinese dance performance at the Kennedy Center Opera House on Feb. 21. “Wonderful, absolutely wonderful. Very encouraging, very uplifting, very spiritual. It gives you a spiritual uplifting, it calls to mind spiritual things. 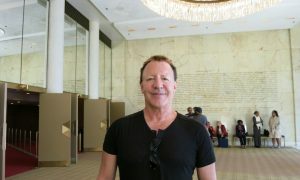 I think it’s very enlightening,” said Mr. Kingspury. 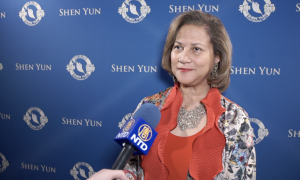 “Shen Yun means inner or divine beauty and I think it displayed everything about that: the divine beauty,” said Mr. Ceasar. For thousands of years, the Chinese called their country the “Divine Land” (Shen Zhou) and the teachings of Buddhism, Taoism, and Confucianism were the heart of the culture. It was believed that the arts were given to humankind as a way to bring some of the divine to earth. 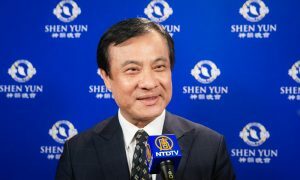 New York-based Shen Yun seeks to revive the sense of divine inspiration through classical Chinese dance and music, after systematic political campaigns like the Cultural Revolution almost destroyed the traditional culture in China. Mr. Ceasar especially liked the heavenly theme depicted in some of the dances. “Coming from heaven, the background they showed, that was awesome, to show that there was a heaven,” he said. 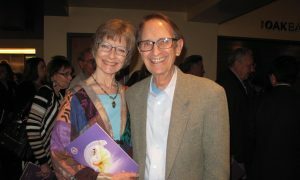 In the last dance “Hope for the Future,” for example, “a holy scene appears and a new era begins,” according to the Shen Yun program book. “The voice qualities were excellent. I thought they did a wonderful job. The energy they gave too, it seemed like the passion that they put into the music as well, the expression that they gave while they were singing. I could get a sense of the passion about what they were singing,” he said. 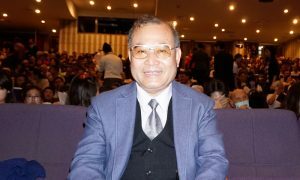 In “A Steadfast Heart,” an elderly gentleman is persecuted by the communist regime in China just because he practices the traditional meditation discipline Falun Dafa. Founded in 1992, Falun Dafa, also known as Falun Gong, is a spiritual meditation practice that teaches truthfulness, compassion, and forbearance. But since 1999, the communist regime has been brutally persecuting the practice. Millions of Falun Dafa practitioners have been arrested, illegally detained, tortured, and even killed for their organs. “They can’t express that artistically at home because everything is for the state. That’s a thing for us to understand what we have in this society that sometimes we take for granted and don’t cherish. Our freedom of expression and the ability to be able to say what you want to say. 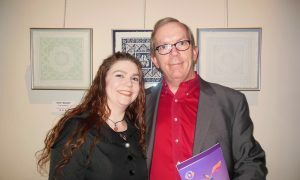 As mild and as artistic as that was, they can’t speak it, unless the state sanctions it,” Mr. Kingspury said. 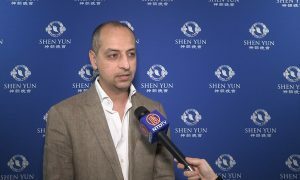 Mr. Ceasar thinks Shen Yun’s performance in the United States and other free countries is just what the Chinese are missing. “It gave the Chinese the platform to express what they’re missing at home, what they’re not being able to do at home,” he said.